INSPIRATION is such a beautiful word. While it's been said true artists/writers are the ones who slough through regardless of its presence, I'm sure we all can agree that when it's there, life is a million times easier. I've been meaning to feature a trio of shadows Rouge Bunny Rouge sent to me, but just couldn't figure out how to use them together, until I stumbled upon this photo. 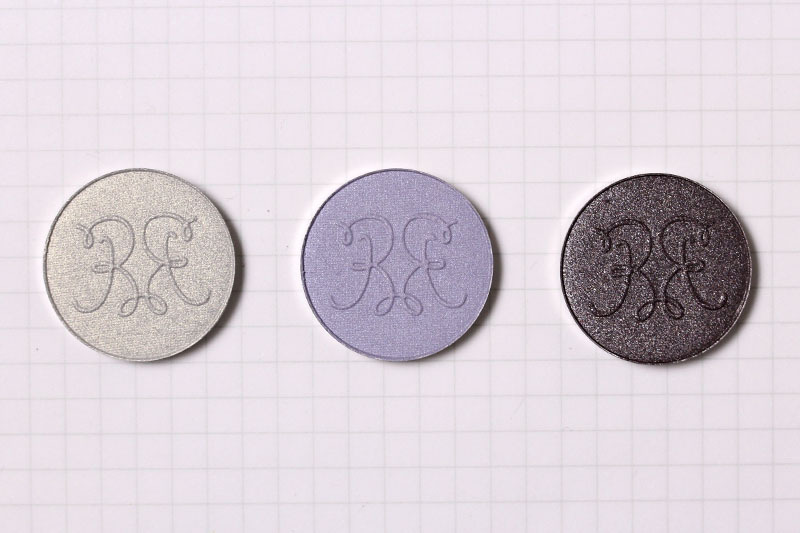 The eyeshadows in question are Snowy Egret, Lilac Reef Curassow, and Eclipse Eagle — an icy gold mint, a lilac, and a purpled brown. As you can see, I switched up the colors from the original photo (which are breathtaking, by the way. I want everything used on her), but conformed to the same shading shape. Basically, think of your eyelids in thirds. After applying primer, I patted on Lilac Reef Curassow to the center (2/3) of my lids. I then applied Eclipse Eagle to the inner and outer lid (1/3 and 3/3), making sure to blend, but not overly blend into the lilac. More detail went to shading the inner lid, as the makeup artist extended the shade to the side of her nose bridge instead of stopping at the edge of the lid. I applied Snowy Egret to the inner corners of my eyes and smoked out the bottom lash line with Eclipse Eagle. I could discern only the faintest inkling of a line on the model's eyes, so I tight-lined using a black pencil liner. Two coats of black mascara, and done. Rouge Bunny Rouge products are available internationally on rougebunnyrouge.com and zuneta.com. Necklace from Intermix, dress from Free People. This is stunning, Xiao! You are rocking those purples and that eyeshadow placement is just perfect, I don't now why don't do that more often! I really love this look. I love the eyeshadow shades because they are within the color range I can use on my eyes without looking drag queenish, but I really LOVE how your hair is growing out. This is the best look yet I've seen with your crop. Hope to see more FOTD with this style. I love RBR, but somehow Eclipse Eagle wasn't on my radar - such a pretty shade! Also, RBR is also available (in the US only) on Beautyhabit (dot com) - shipping is a bit less than the other websites you mentioned. Eclipse Eagle is a new spring shade, I believe. Coming out next week! Such a gorgeous look! I'm really looking forward to the two new RBR shades and I think I might try to recreate this when I get them. I am totally with you... sometimes there are colors I find incredible but don't know how to apply them until I find the right inspiration. Very well done! Damn it's a beautiful look on you Xiao! Purple tones really suit your complexion - and I love how it looks smokey but more modern than the usual gray/black look. One of my faves! And I had no Eclipse Eagle existed. I need me that. Eclipse Eagle will only be available starting next week I believe! 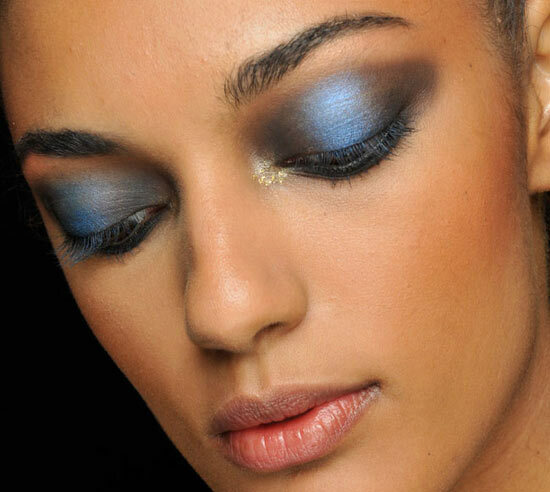 This look is gorgeous (as is your inspiration photo)! 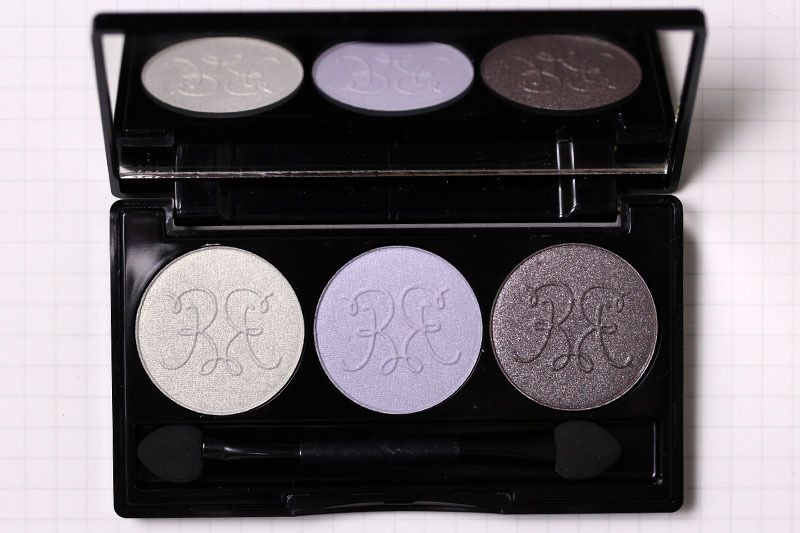 I LOVE smoky, purple eyes so I will have to get these eyeshadows. By the way, where is your top from? It's so pretty. Beautiful colors and the combination you created looks amazing! Also - I haven't seen your haircut (been off from reading blogs for quite awhile) and I have to say, you look stunning! Great job Xiao!! It's a beautiful and edgy interpretation of the look. I actually prefer look you did to the original photo. Also, your posing skills is excellent. I did some photo today for my blog, trying to shoot out different face expressions. Looked more hilarious than pretty. Especially the fierce one. LOL. To-buy list: RBR Snowy Egret! No way, you and your roommate have beautiful smiles. Sweet and bright!! I am in LOVE with Lilac Reef Curassow--SUCH a pretty and unique shade!! *sigh* I really need more RBR in my life! PS: your necklace is gorgeous Xiao! Where did you get it? You have the same jewelry taste as I do--I've been wanting a gold bar necklace for a long, long time! i find lilac to be one of the easiest shades to play with for my particular skintone! A surprising take on the bunny Rouge trio. I did not expect them to look so different applied on. The purples go really well with your skin tone and the pale lips is a nice touch. I love this dreamy pixie look on you. Those shadows look incredible on you! I love the colors, and the texture looks amazing on your skin. You should invest in more of those, they look so good! !